Christmas dinner was at my house this year and my wife wanted to serve a roast beef for our 12 hungry family members, so off to the grocery store on Christmas Eve I went. Yes, I always procrastinate and I paid for it when I was greeted with about 1000 people that weren't totally in the Christmas spirit. We're talking full contact, elbows flying, combat shopping at the meat cooler. I found an opening by the roast and steaks section and proceeded to wedge myself in to the melee. As the crowd parted, a lovely sirloin tip roast a little bigger than a football lay calling my name. I scooped that bad-boy up like I was recovering a fumble and turned around with my head and shoulders low to protect the roast all headed back to my waiting cart. One more stop on the charcoal and beer aisle and I was out the door and back into my car to hopefully not see the grocery store again until 2010. 1The sirloin tip roast has a great beef flavor, so I just mixed up a simple rub using some of my always abundant fresh rosemary and a few more ingredients from the cupboard. 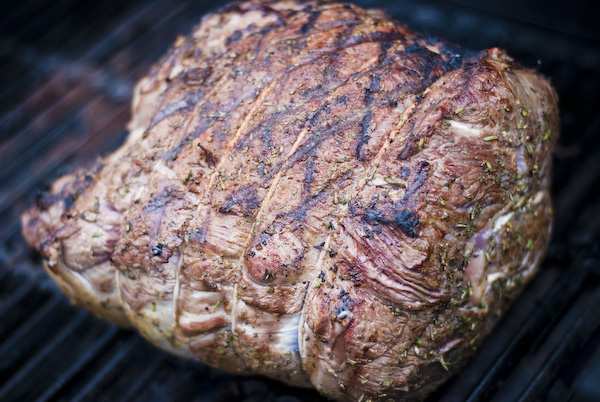 The rosemary holds up well to the higher heat and adds a great flavor to the “crust” or the “bark” of the roast. 2Mix all of the ingredients well and rub the roast. Place the roast on a platter, wrap with plastic wrap and refrigerate until you are ready to cook. I let mine sit overnight in this case. 1Some people love a heavy smoke taste to all of their meats. To be honest, I kind of get burned out (pun intended) to the taste of smoke after a few good barbecues. As a result, I sometimes don’t even add any wood to my smoker when cooking large cuts of meat like this sirloin tip. The charcoal adds just enough taste, combined with the rub, to make an awesome roast. In my opinion, the heavier smoke added by wood would overpower the roast. If you really feel the need to add wood, I would suggest using only a chunk or two the size of your fist for the first 30 – 45 minutes of cooking. The searing process we are going to do to lock in the moisture will prevent a lot of that smoke from penetrating the meat anyway, so 30 – 45 minutes should suffice to add a little more flavor if you feel it is necessary. 1Remove the roast from the refrigerator an hour before cooking and allow it to come to room temperature on the kitchen counter. This is an important step that some people overlook, but you won’t, right?? In order to cook this sirloin tip roast evenly, we want the inside to warm, so resting the meat on the counter before cooking is essential. No short cuts! 2While the roast is resting, let’s go ahead and get the smoker going. Fill your chimney (no lighter fluid on my watch!) with charcoal and light her up. Let it burn until the top coals start to show white ash. 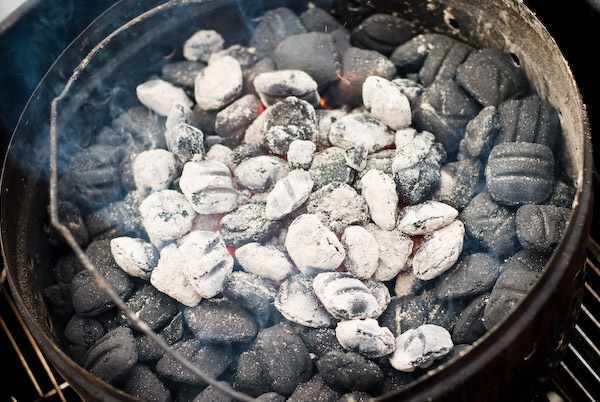 3While the chimney coals are burning , form a “bowl” or a ring of unlit charcoal around the edges of your fire box. This will allow the coals to burn slowly from the inside to the outside of the fire basket. 5With the fire burning, set your smoker up for at least 325, up to 350. Mine bounces between those temps, which is fine. We want to cook to the internal temperature of the meat, not a precise time anyway. 6While the smoker is heating up, we need to sear the sirloin tip. I like to use my gas grill for this because it creates great looking grill marks, but you can certainly do it on the stove using a skillet and some oil. 7Once the roast has rested for an hour, sear all sides over a hot grill or on the stove. 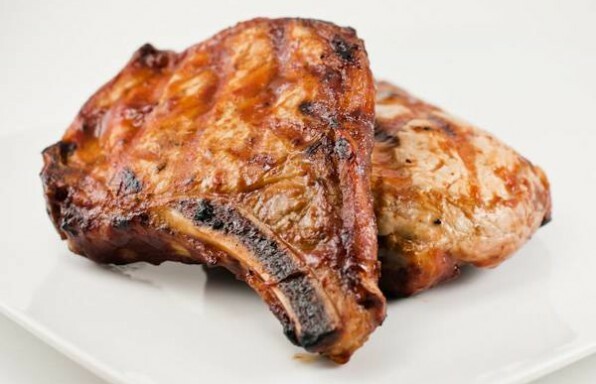 If you are using a grill, turn it halfway through each side to make those great grill marks, presentation is everything! 8With ALL of the sides seared, place the roast on the smoker over a pan of beef broth or water. We want gravy, right? So we need to catch those drippings! Besides that, it provides great moisture to our cooker. Add water as necessary throughout the cooking time. 9Continue to cook the sirloin roast until a meat thermometer registers 130 degrees at the CENTER of the roast for medium rare at the center, medium on the ends. This should take around 20 – 30 minutes per pound, but never rely on exact times. Use a meat thermometer instead. 10Once the roast has reached an internal temperature of 130 degrees, remove from the smoker and place on a platter. 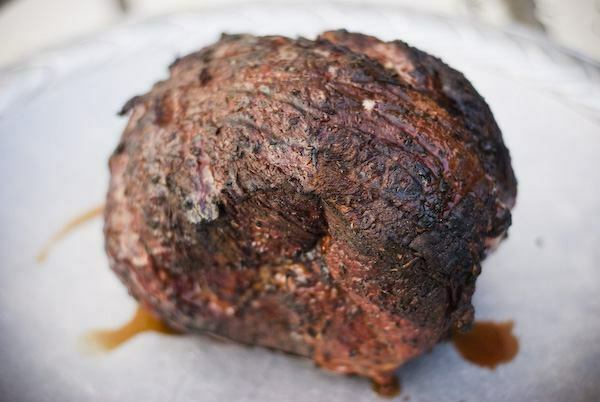 11Loosely cover the sirloin tip roast with aluminum foil and allow the meat to rest for 30 minutes. This allows the juices to redistribute in the meat, so that they don’t all run out when you slice into that delicious roast. 12While your roast is resting, go make some gravy with the drippings! 13After a proper resting, slice the roast beef thinly against the grain and serve. Enjoy! A Note About Beef Cuts: This recipe is for sirloin roast, sometimes labeled just that but sometimes labeled sirloin tip. Not to be confused with the tri-tip roast that comes from the bottom of the sirloin. 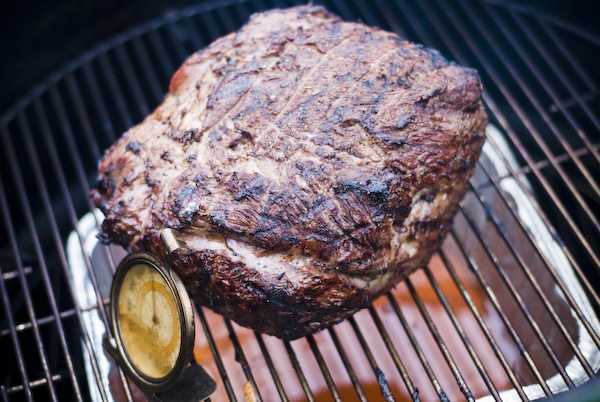 This is sometimes confusing, but the tri-tip roast is called a "tri" tip because it is in the shape of a triangle, so that is an easy way to tell them apart. Tried this one in reverse. Roasted in kettle grill to 115 then dropped onto the grate right over the coals to 120. It was great. Tried it in revers. Seared it over the coals after roasting for about an hour and a half. Worked great. I tried it backward and seared it just over the coals after roasting in the Kettle grill for about an hour and a half. It was great.